As we are all aware, the new Vehicle Emissions Scheme(VES) implemented at the beginning of this year include 4 additional pollutants – hydrocarbons (HC), carbon monoxide (CO), nitrogen oxides (NOx), and particulate matter (PM) – in addition to carbon dioxide (CO2). A VES rebate or surcharge is imposed on new vehicle based on the worst-performing pollutant. To give motor dealers more time to submit PM emission information for assessment under VES, LTA has exempted PM criteria for all vehicles registered from 1 January to 30 June 2018. If you are thinking of buying a new car, it is advisable to do so before 1 July 2018. This is because PM emissions will no longer be exempted with effect from 1 July 2018 and we expect that many petrol cars will get additional surcharge between $10,000 to $30,000. 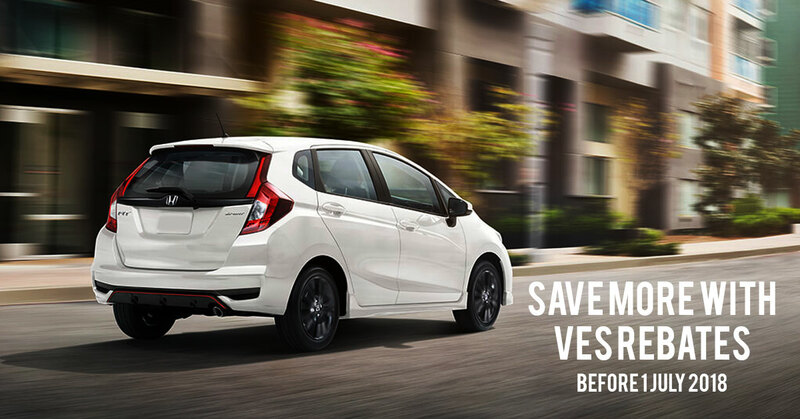 With the exemption of PM emission, cars such as Honda Fit, Shuttle and Vezel each has a rebate of $10,000. Starting from 1 July when PM emission kicks in, there will be a surcharge of $20,000 for all the above-mentioned cars. To be exact, you will be paying $30,000 more if you buy the car after 1 July. Moreover, COE prices are currently at a low which is why we strongly encourage you to take action now. Looking for a reliable car dealer? Check out Cars & Stars. We have a wide range of parallel imported cars. 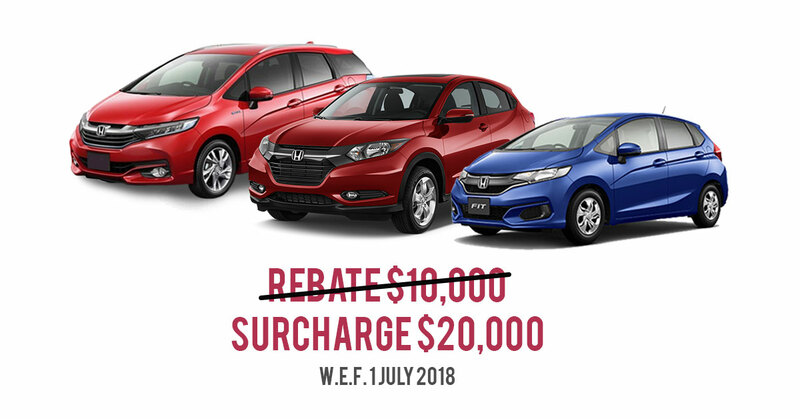 Most of our cars are eligible for $10,000 rebate (if you purchase before 1 July 2018) and are fuel efficient which can help you save more in the long run. Want to know more about the rebates and attractive promotions we have? Call us or visit our showroom today!